﻿ Radio Melbourne plays the best music from today and yesterday. Maximum Music, Minimum Talk - Just great songs in a perfect mix. Melbourne is the capital and most populous city in the state of Victoria, and the second most populous city in Australia. Melbourne has been ranked as the world's most liveable city in ratings published by the Economist Intelligence Unit (in 2011, 2012 and 2013, and top three since 2009). Since the mid-1990s, Melbourne has maintained significant population and employment growth. There has been substantial international investment in the city's industries and property market. 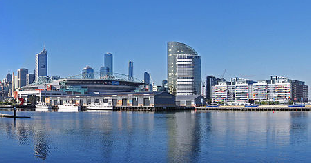 Major inner-city urban renewal has occurred in areas such as Southbank, Port Melbourne, Melbourne Docklands and more recently, South Wharf. 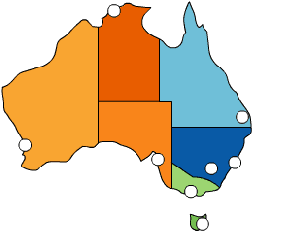 According to the Australian Bureau of Statistics, Melbourne sustained the highest population increase and economic growth rate of any Australian capital city in the three years ended June 2004.These factors have led to population growth and further suburban expansion through the 2000s. The centre of Melbourne's central business district is formed by the Hoddle Grid (dimensions of 1 by 0.5 miles (1.6 by 0.80 km)). The grid's southern edge fronts onto the Yarra River. 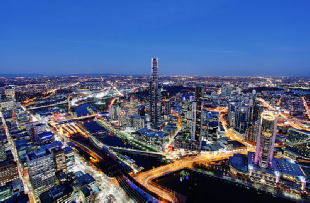 Office, commercial and public developments in the adjoining districts of Southbank and Docklands have made these redeveloped areas into extensions of the CBD in all but name. The city centre is well known for its historic and prominent lanes and arcades (the most notable of which are Block Place and Royal Arcade) which contain a variety of shops and cafés and are a byproduct of the city's layout. Fitzroy Gardens. 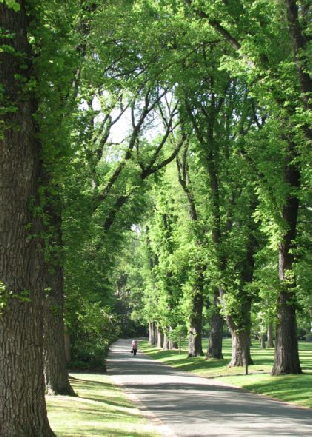 Melbourne's urban structure features large parks and gardens and wide avenues. 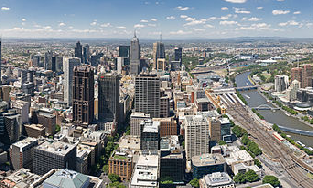 Melbourne's CBD, compared with other Australian cities, has comparatively unrestricted height limits and as a result of waves of post-war development contains five of the six tallest buildings in Australia, the tallest of which is the Eureka Tower, situated in Southbank. Melbourne is an international cultural centre, with cultural endeavours spanning major events and festivals, drama, musicals, comedy, music, art, architecture, literature, film and television. Melbourne is the birthplace of Australian film and television, Australian rules football, the Heidelberg School of Australian Impressionism, Australian contemporary dance (including the Melbourne Shuffle and New Vogue styles), and is home to the National Gallery of Victoria, Australia's oldest and largest public art museum. In 2008, Melbourne became the second city after Edinburgh to be declared a UNESCO City of Literature. It has thrice shared top position in a survey by The Economist of the world's most liveable cities on the basis of a number of attributes which include its broad cultural offerings. The city celebrates a wide variety of annual cultural events and festivals of all types, including Australia's largest free community festival—Moomba, the Melbourne International Arts Festival, Melbourne International Film Festival, Melbourne International Comedy Festival and the Melbourne Fringe Festival. Melbourne is notable as the host city for the 1956 Summer Olympic Games (the first Olympic Games held in the southern hemisphere, with all previous games held in Europe and the United States), along with the 2006 Commonwealth Games. The city is home to three major annual international sporting events: the Australian Open (one of the four Grand Slam tennis tournaments); the Melbourne Cup (horse racing); and the Australian Grand Prix (Formula One). Melbourne was proclaimed the "World's Ultimate Sports City", in 2008, for the second time. The city is home to the National Sports Museum, which until 2003 was located outside the members pavilion at the Melbourne Cricket Ground. It reopened in 2008 in the Olympic Stand. Australian rules football and cricket are the most popular sports in Melbourne. It is considered the spiritual home of the two sports in Australia.